Family-run Rayners Catering Hire is one of the largest independent catering equipment hire companies in the UK. They stock, pack and deliver an extensive and diverse range of catering equipment which is available for hire by professional caterers, party planners, hoteliers and private individuals alike. 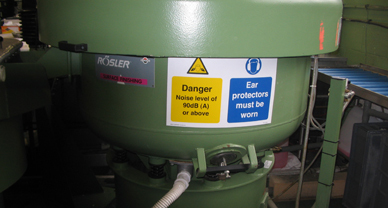 The noise generated at their London-based factory is therefore considerable and requires a valid Noise at Work assessment under the Control of Noise at Work Regulations 2005. 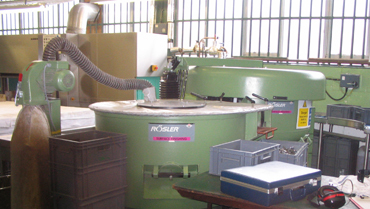 Rayners commissioned us to review their factory noise levels and undertake a Noise at Work assessment. As a company that specialises in hiring out large scale catering equipment, the processes of sorting, cleaning, polishing and storing huge quantities of crockery and cutlery sets are inherently noisy. Define zones where hearing protection was required. Do you need a Noise at Work assessment? Get in touch to discuss your requirements with one of our expert acoustic consultants.